Accomplished Medical Malpractice and Personal Injury Attorneys Judith A. Susskind and Dina M. Zalewski Join Sommers Schwartz, P.C. Judith Susskind, former president of the Michigan Association for Justice, and associate Dina Zalewski are newest additions to premier firm of trial lawyers. Beginning with Sommers Schwartz's founders, our attorneys have earned the respect of clients, colleagues, judges, and opposing counsel alike. Having Judy and Dina among our ranks only heightens the firm's reputation for excellence. Sommers Schwartz P.C., a leading contingency-based litigation law firm, is pleased and proud to announce that Judith A. Susskind and Dina M. Zalewski have joined the practice. "Judy is not only an outstanding lawyer who delivers impressive results, but she is also well-regarded by attorneys on both sides of the courtroom," said Richard L. Groffsky, head of Sommers Schwartz's Personal Injury, Medical Malpractice, and Birth Injury Litigation groups. "We are thrilled that she and Dina have brought their talents to our firm." Over the course of a career spanning more than 30 years, Ms. Susskind has successfully represented clients and families in a wide variety of medical malpractice lawsuits, obtaining numerous favorable outcomes for injuries caused by the negligence of doctors, nurses, and other healthcare providers. A recognized leader among Michigan's trial lawyers, she is an executive board member and past president of the Michigan Association for Justice (previously known as the Michigan Trial Lawyers Association), has been inducted into the prestigious, invitation-only American Board of Trial Advocates (ABOTA), and was honored by Michigan Lawyers Weekly as a "Lawyer of the Year" in 2004. Thomson Reuters named Ms. Susskind to the Michigan Super Lawyers list each year since 2006, and in 2015 and 2017, Best Lawyers named her the metropolitan Detroit "Lawyer of the Year" for medical malpractice. She is also active in the Oakland County Bar Association, is a fellow of the Oakland County Bar Foundation, and currently serves on the State Bar of Michigan's Judicial Qualifications Committee. Ms. Susskind joins Sommers Schwartz as a shareholder. 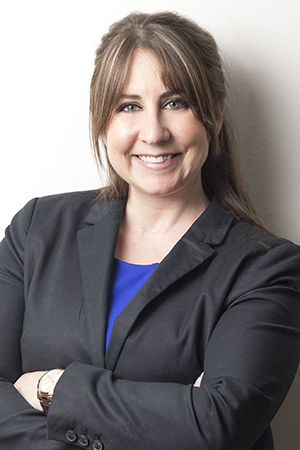 Dina Zalewski is an associate at the firm, focusing on personal injury and medical malpractice matters. After she was admitted to the State Bar of Michigan, Ms. Zalewski opened her own practice. She later joined a noted civil litigation firm where she helped to obtain several significant outcomes for clients harmed as the result of physician and hospital negligence, spinal cord and brain injuries, motor vehicle accidents, dog bites, premises liability, slip and fall injuries, and wrongful death. "Beginning with Sommers Schwartz's founders, our attorneys have earned the respect of clients, colleagues, judges, and opposing counsel alike," said Joseph H. Bourgon, Sommers Schwartz's Chief Executive Officer. "Having Judy and Dina among our ranks only heightens the firm's reputation for excellence." Sommers Schwartz, P.C., a law firm located in Southfield, Michigan, represents individuals in Michigan and across the country who have been harmed as a result of medical errors, defective products, loss of employment, and other forms of negligence or intentional injury, as well as businesses involved in complex litigation matters that jeopardize their existence. Additional information about Sommers Schwartz can be found on its website: http://www.sommerspc.com.